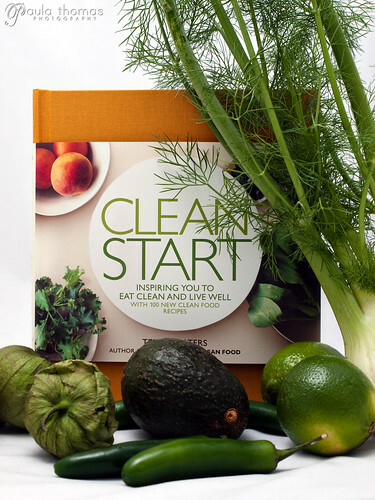 I had the privilege of meeting Terry Walters, author of CLEAN FOOD and her newest book, CLEAN START. Bonnevivante hosted an event and many foodies from around the Seattle area came to chat with Terry and learn more about her philosophy of food. I recognized a few faces from other events I've been to and got to meet a lot of new ones too. She's all about healthy eating and has put together these cookbooks with lots of tasty recipes. 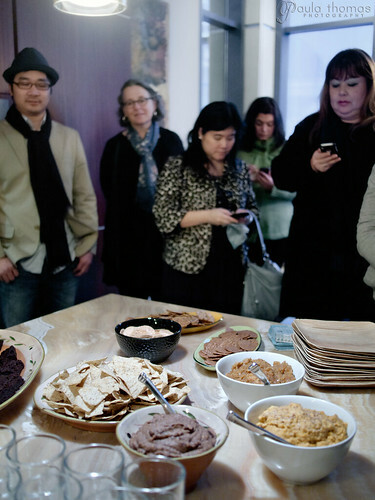 We got to sample three of her gluten free dips: carrot cashew miso spread, shallot fig spread, and spicy black bean dip. All three were great but my fav was the shallot fig spread. I'm hoping my new fig tree will produce some fruit this year to try making some of this spread. We also snacked on brownies that were unlike any brownie I've ever had before. I never imagine brownies as being something healthy and good for you but these are and they taste good too! Maple syrup is used as the sweetener as well as various fruits. Brown teff flour is used instead of AP flour. I won't give away all the secret ingredients but they were surprisingly good. 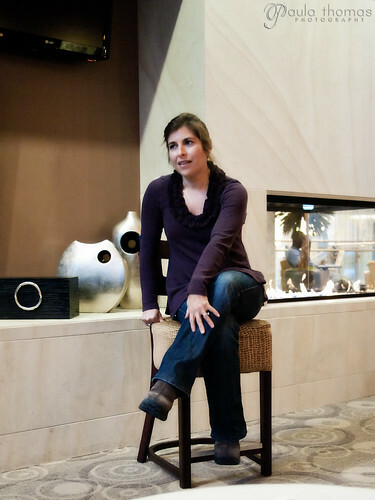 Terry talked about food sensitivities and how her daughter was sensitive to almost everything when she was little and it was tough to adjust at first and after a while was even able to reintroduce many of the foods she was sensitive to without a problem after a year or so. I asked more about how you find out what foods you are sensitive to and it turns out all it takes is a blood test. I'm kind of curious what foods I might have a sensitivity to. I know there is at least one or two things but I haven't been able to pin down what they are. I'm not sure how much this test costs but I am curious about it. I might have to look more into it and see about getting that done so I can avoid those foods. She says there isn't any one diet that will work for everyone, everyone's body is different and each one may have different needs and I agree with that 100%. There are vitamins and things that everyone needs but as far as what type of foods is right for each person may be different and it seems a good place to start would be to get one of these food sensitivity tests done. She talked a bit about her first cookbook that she self published which was mostly a collection of recipes that she used for teaching cooking classes. She spent more time talking about her new cookbook, CLEAN START. I really like how it's organized. The recipes are categorized by the four seasons: spring, summer, fall and winter. The pictures in the cookbook are fabulous and there are a lot of them. They were done by Gentl & Hyers with available light, not with studio lighting and the pages are nice and thick. I can't wait to start trying some of the recipes. I just started my Authentic Mexican Cookbook project but as soon as I'm done going through that cookbook there's a good chance this will be my next project. I might not be able to wait that long to try out a couple of the recipes though.